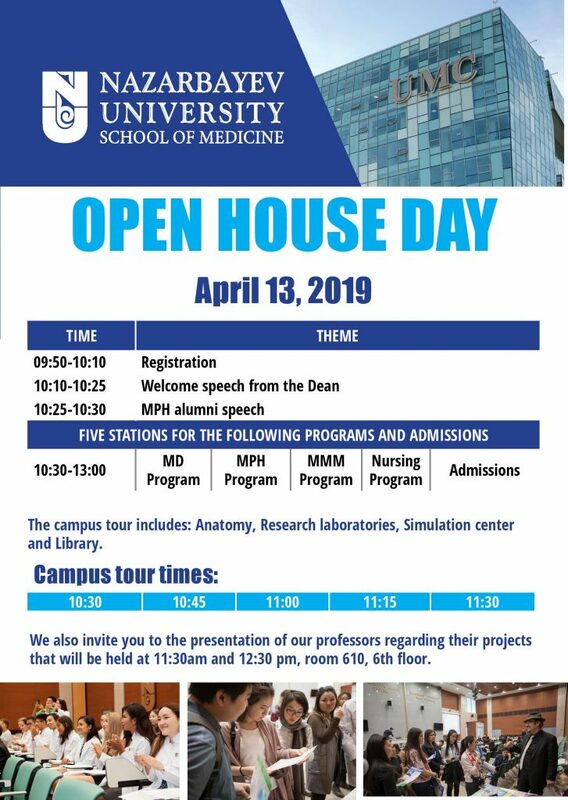 Come to NUSOM Open House Day 2019! Nazarbayev University School of Medicine (NUSOM) is delighted to invite you to its Open House Day! This is an exclusive opportunity for prospective students to get to know NUSOM, its academic community and learn more about available programs and facilities. The program includes a presentation from the Dean, tours of the NUSOM building and state-of-the-art facilities for education and research, and the opportunity to meet with program directors, faculty members, staff, current students and alumni.